Unified Products and Services Incorporated offer various Dealership packages and Franchise hub. It will empower global communities towards attaining financial freedom and economic stability. Unified Products and Services Incorporated exists with the paramount purpose of providing business opportunities to everyone through our world class quality products & services. 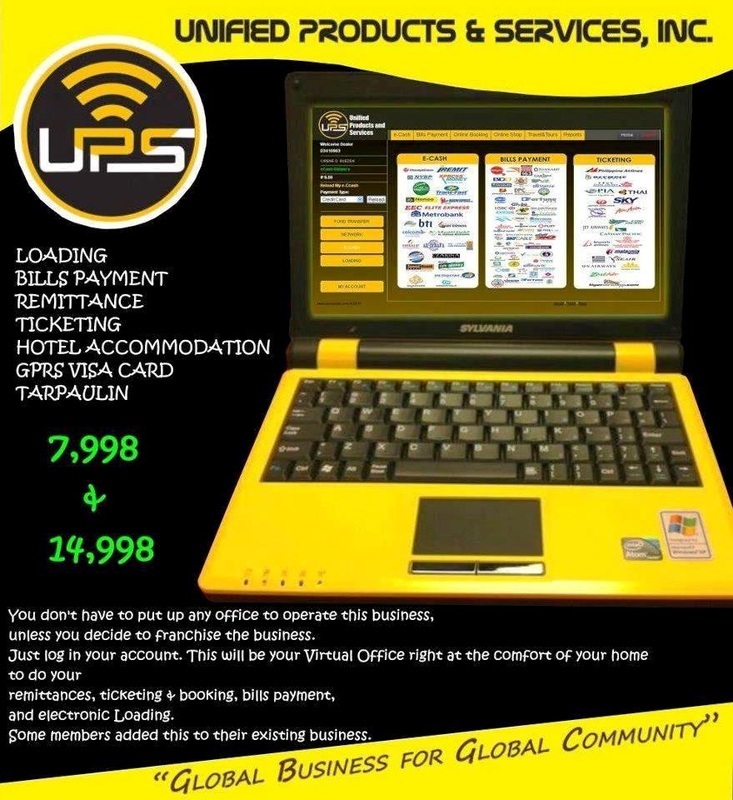 We offer True ALL IN ONE Franchise capable of doing Online Bills Payments, Unified Loading, Ticketing, Remittance, Hotel Booking, Travel and Tours Booking, Money Exchange Services and many more other services. We also offer home based business online payment system. The company enshrined its helm the tenets of Unity, People Oriented, Services and Products excellence.